Complete Towing Services Available… Right Now! At Star Towing, we treat your emergency like it’s our emergency. Regardless of your situation, our goal is to promptly respond to your request by sending one of our clean, well-equipped, state-of-the-art tow trucks within minutes. Our uniformed professional drivers are courteous and well-trained to handle most any situation in a fast and efficient manner. In short, we do whatever it takes to get you back on the road safe and sound. No problem! When you have an emergency right now or need towing and transportation services in the future, we are ready for you 24hrs a day, 7 days a week. If you have an emergency, call us right now at (858) 573-8700 or (619) 221-0881. If you need to schedule towing in the future, send us a message by clicking the button below. 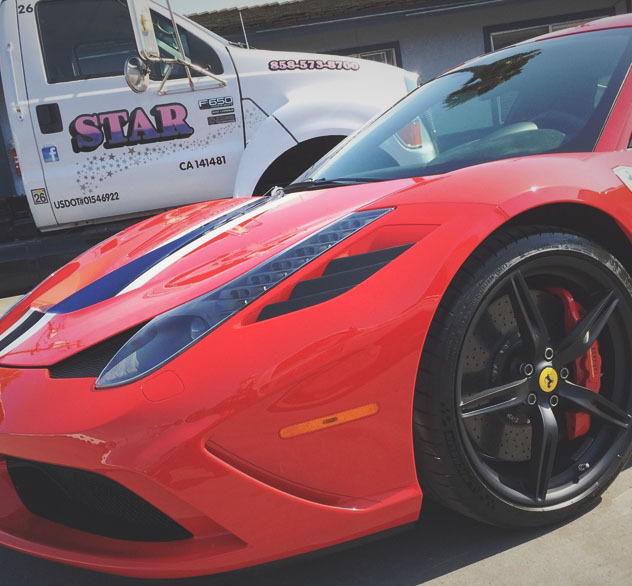 We have worked with some of San Diego’s finest dealerships transporting luxury vehicles over the last 50 years. We know how much your vehicle means to you and we have both the equipment and expertise to take care of your prized possession! Give us a call or send us a message by clicking the button below. We offer a wide variety of complimentary services aimed at providing you with convenient and quick solutions to most parking problems. If need a partner who has the ability to service your property needs in a professional & courteous manner, we are here for you! Click the button below to learn more about parking management. Star Towing has ALL Your Needs Covered! Offering local and long distance towing, Star Towing is the answer to all your light duty towing needs. Wether your car needs repair, help with a lockout, or even a gas refill, Star is available 24 hours a day, 7 days a week. Remember, we offer competitive rates for Dealer Transfers throughout the continental United States! Over the past 50 years we have become one of the most recommended heavy truck towing companies in town. Our experienced and courteous crew is fast, efficient and effective when coming to the rescue of disabled tractor-trailer trucks and other heavy-duty vehicles. We perform both local and long distance recovery, towing and hauling 24-hours a day. 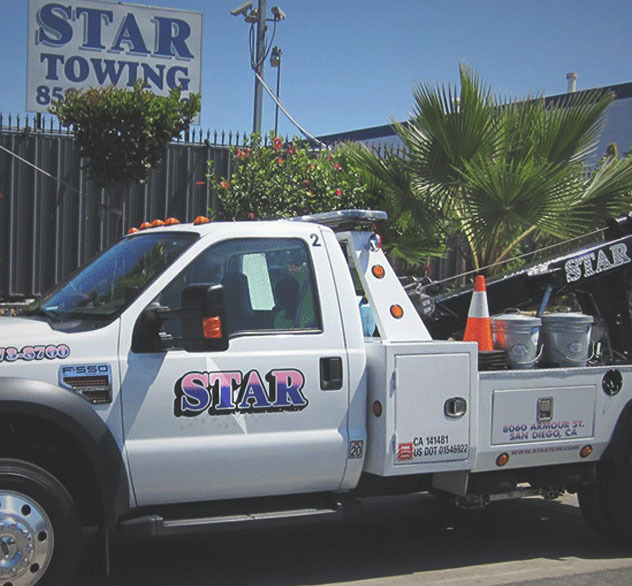 Star Towing specializes in heavy truck towing using state-of-the-art equipment. Take advantage of our dependable service and everyday competitive rates! Whether your next job is across town or across the country, with ICC Authority in 48 states, Star Towing is equipped to transport your heaviest loads. Fork Lifts, Wheel Loaders, Excavators, Back Hoes, Cranes, we tow it all — and take the worry out of moving your equipment from job to job. With payload capability of up to 80,000 pounds, Star Towing is ready to meet your specialized transport needs. Call today and let us show you how we can make your next transport worry free.